PEAR has always been concerned about the well-being of children. We are also concerned about honesty and integrity in the adoption process. It has been our experience that there is a vast underreporting of unethical, dangerous, and/or illegal practices in the child welfare community, and as a result PEAR encourages everyone to report their experiences to appropriate enforcement and regulatory offices. Whether you have had a negative experience with an adoption service provider, been subject to unethical attorney conduct, witnessed child abuse, or know of fraud or other serious issues we urge you to alert authorities now. We understand the degree of worry, fear, trauma, and even apathy that exists in the adoption and foster care communities. Many prospective and adoptive parents have filed complaints and no action was taken; others believe their complaint will not make a difference. 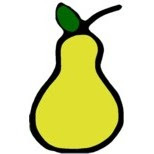 PEAR cannot stress enough how crucial it is for everyone with any information whatsoever to file reports, make complaints, and be heard. If you do not report unethical, illegal, or harmful events, regulatory bodies will not know what is going on or will be able to deny what is going on, and nothing is likely to change. Your reports could help clean up the system and save lives. Please bear in mind that if you do not report items of concern it is as if they never happened. Do not leave your experience in the dark. Be a part of the solution. If you witness or suspect child abuse, please call your local child abuse hotline, your local police department, or the National Child Abuse Hotline at 1-800-4-A-CHILD (1-800-422-4453). Many states also have on-line child abuse/neglect reporting forms. In addition, if you know of a child in state care who is being mistreated, Children's Rights can sometimes get involved: www.childrensrights.org. *In many states anyone who witnesses or has knowledge of child abuse is considered a mandated reporter, but far too often individuals do not report. In some cases, there are penalties for not reporting known or suspected abuse. You do not have to prove abuse, but you do have a responsibility to make reports. -Consider copying multiple offices on a complaint. This ensures that different offices know others are aware of the alleged problem or issue. They won't later be able to claim ignorance. -In some cases anonymous complaints are accepted, but it will help investigations if offices have a contact to follow up with. -Keep a copy of any written complaints and keep a log of telephone calls with dates, times, and names of people involved. Whenever possible make complaints and create any correspondence in writing. -If you receive no response to your complaint and no action is taken, consider reaching out to media sources to further investigate and report on the issue. Sometimes the media is the best way to get action. You may want to re-send your complaint along with the name of the reporter you have contacted so they will take you more seriously. For questions or assistance, contact us at reform@pear-reform.org. U.S. Mission Kazakhstan has reported that President Nazarbayev signed into law the new Family and Marriage Code on December 26, 2011. The Ministry of Education now awaits government approval of its new policies to accredit agencies and process adoptions. The Department will post information on the new accreditation process and the new adoption procedures on www.adoption.state.gov as soon as we receive it, and will confirm when the new Hague Convention adoption process is in place in Kazakhstan. *Please note that DOS unintentionally filed the adoption Notice under Ukraine. Should DOS correct this, the above link may not work.